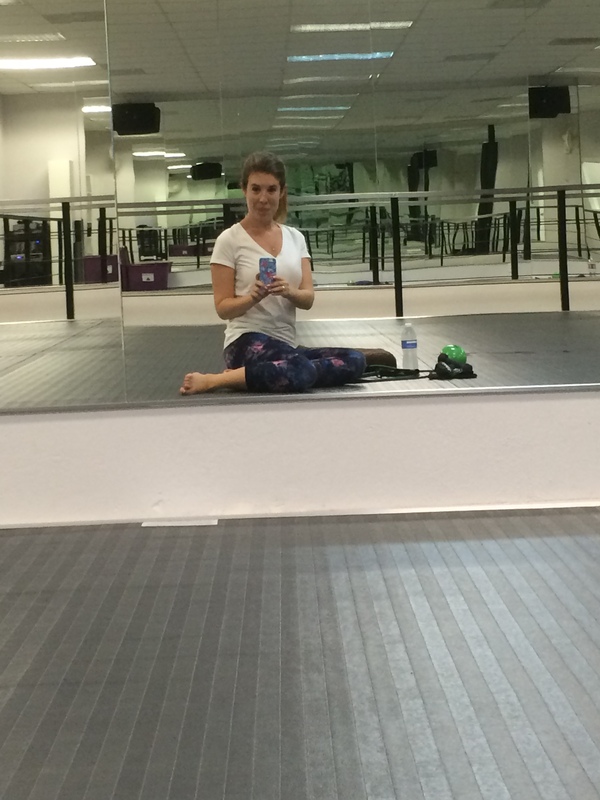 I consider myself an LA fitness connoisseur so when I was taking a class at Strong Body Pilates I was shocked to hear about a studio where all classes are done on a spring floor. Count me IN. Better yet, first class is free. Obviously, I signed up immediately. 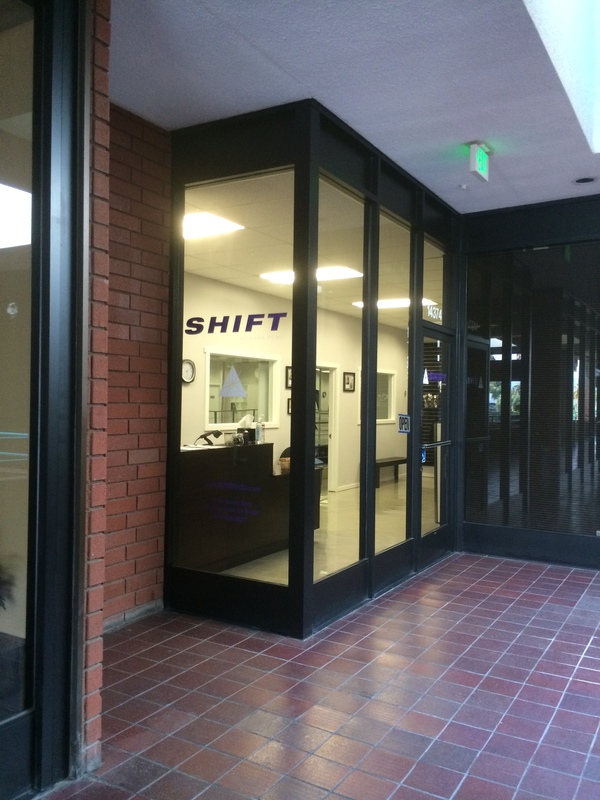 Shift is located in the same shopping center as Pulse Fitness so I knew all about the parking sitch. They have free underground parking below the center and street parking nearby if that’s full. As requested in the confirmation email, I brought along a bottle of water and a full sized towel, but if you forget, they do sell these at the studio. When I arrived, I signed the waiver and was shown around the studio. I grabbed two resistance bands, a 4 lbs ball, a set of 2 lbs weights and found a seat on the floor. We started class with moving stretches and then went right into the cardio portion, which lasted about 20 minutes. 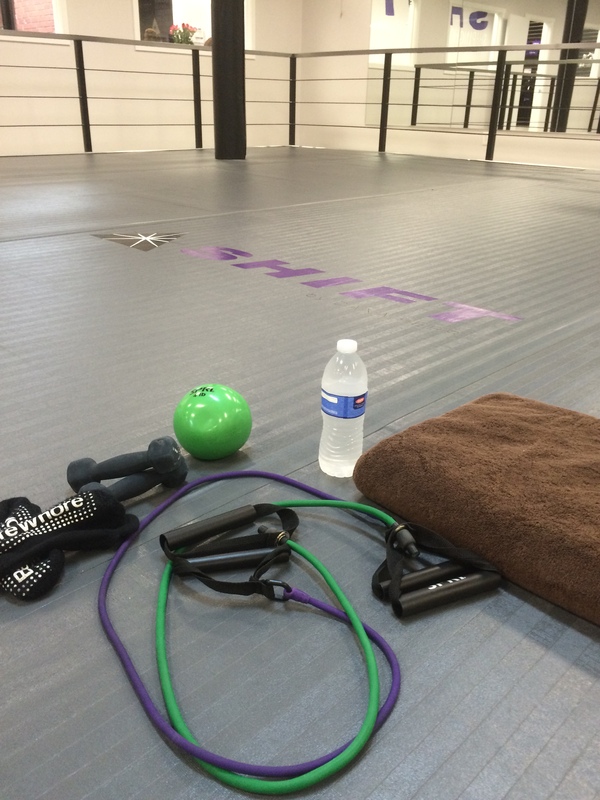 The movements were extremely dynamic and I broke a sweat quickly. We did two circular rotations that got my heart rate up with movements including hops, lunges, jumping jacks, and squats. Dana, the creator and instructor, was so motivating and didn’t hesitate to correct form, always a good thing. After cardio we moved into working our arms, legs, core, and inner thighs section by section. Switching often between the resistance band, dumbbells, and weighted ball, we did bicep curls, tricep kickbacks, waist twists, planks, pliés, crunches, bicylces, leg lifts, plank, etc. The music was always really cheerful and Dana encouraged us to stay on the beat but also gave modifications. The workout is so unique because it really challenges your balance as it is done on a springboard floor. Imagine holding your lowest plié on relevé with your legs shaking as they try to stay steady on a wobbly floor—more tasting on your muscles than a regular barre class. Dana turned off the lights and put on some calming music for the stretch portion as she congratulated us all for being there and pushing through. While in child’s pose, Dana came by and gave me the most wonderful back, neck, and shoulder massage—I’m definitely partial to classes that end like this! 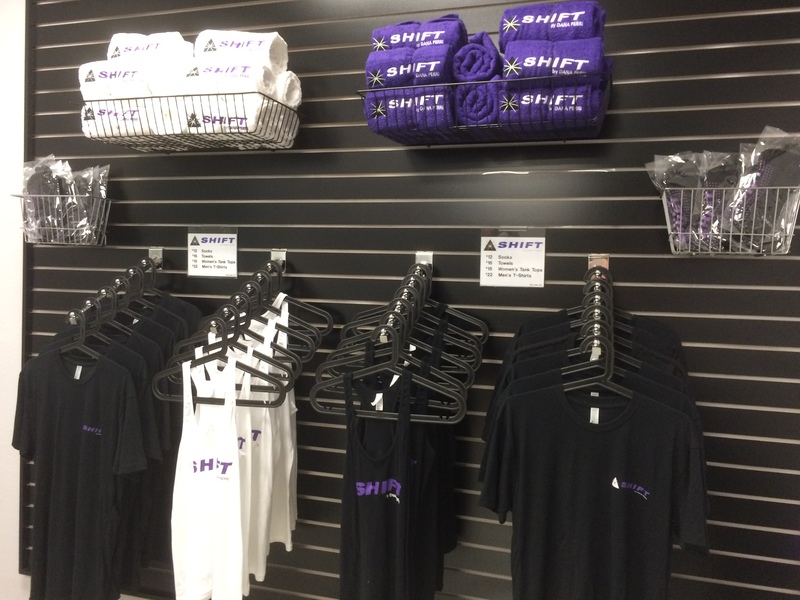 Shift is located in the same center as Pulse Fitness Studio so check out that blog post for great post sweat options! This was by far the FRIENDLIEST and most welcoming studio I have been to. They made sure to remember my name and thanked me for coming in the most sincere way (don’t worry, they had no idea I was a blogger). Although they recommend sticky socks, the workout can be done barefoot. One thing I loved about this studio was the mix of shapes, sizes, ages, and levels. There was even a 12 year old in our class (someone brought her daughter)! So come as you are and be prepared to sweat. There is a beginner’s class that I heard people talking about and, because the workout is so fast paced, I would suggest checking it out first. If you frequent barre workouts, you’ll catch onto the moves pretty quickly and can hop into the regular leveled class.